St Ayles skiff Ulla launched! 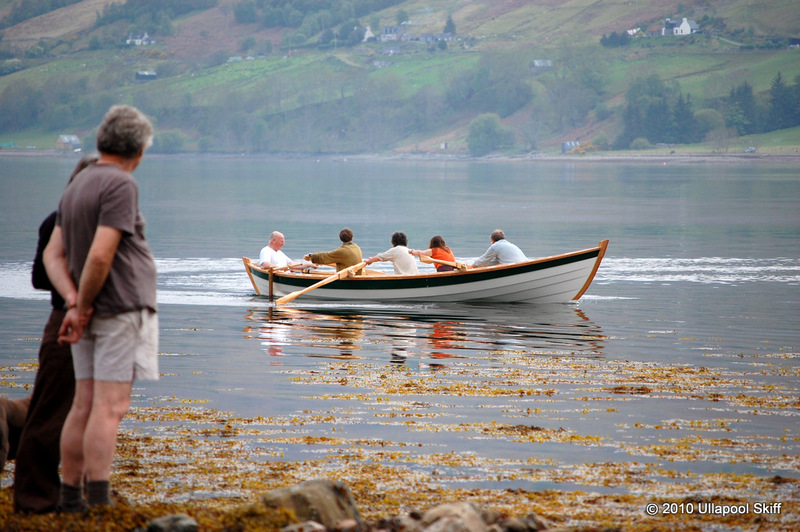 Chris Perkins has written to say that the St Ayles skiff Ulla is launched and that a good selection of photos of the big day can be seen at the Ullapool Coastal Rowing website. Apparently the Viking steerboard works well. 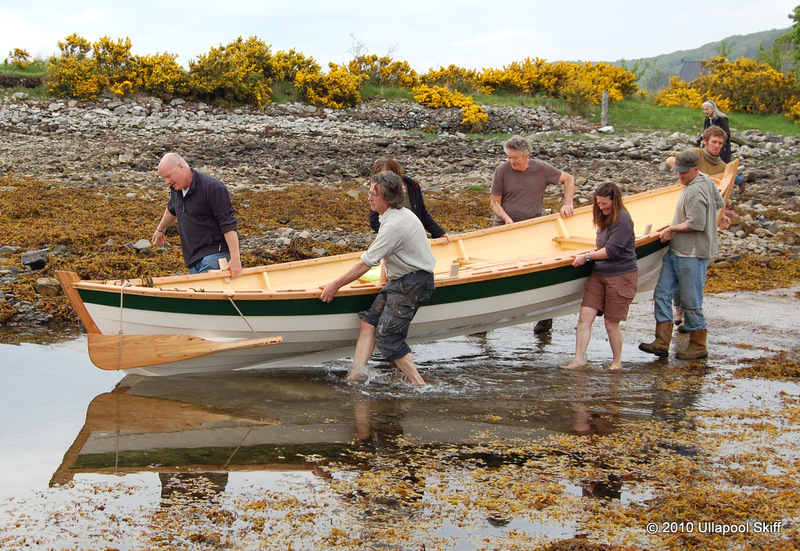 He’ll be at the splash of another St Ayles skiff, Coigach Lass, today so hopefully we’ll have still more lovely photos soon. Many thanks Chris! 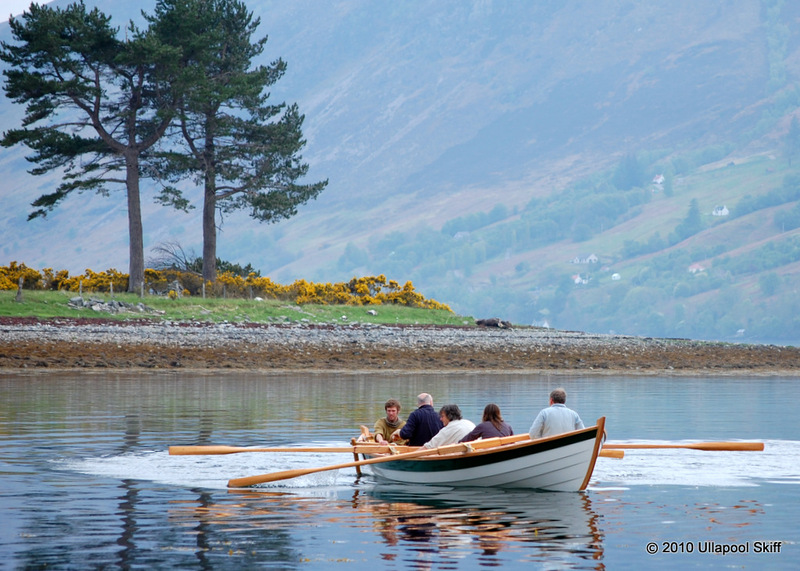 For more posts about the Iain Oughtred-designed St Ayles skiff and the Scottish Coastal Rowing Project, click here. Follow this link to start receiving the weekly intheboatshed.net newsletter. Previous Previous post: Baltimore Woodenboat Festival – don’t you just wish you could go?